When I first got involved in the environmental movement, I thought it was all about helping the things I love, like turtles, oceans, forests and people. But what I quickly discovered was that focusing on changing anything else around me before looking inward and making changes in my own life was misguided. It is my belief that we all have a little corner of the Universe, carved out just for us. This is our own little section that is our duty to care for and manage. I like to think of it as tending our own personal garden, with all our combined plots creating the larger garden that is our shared world. 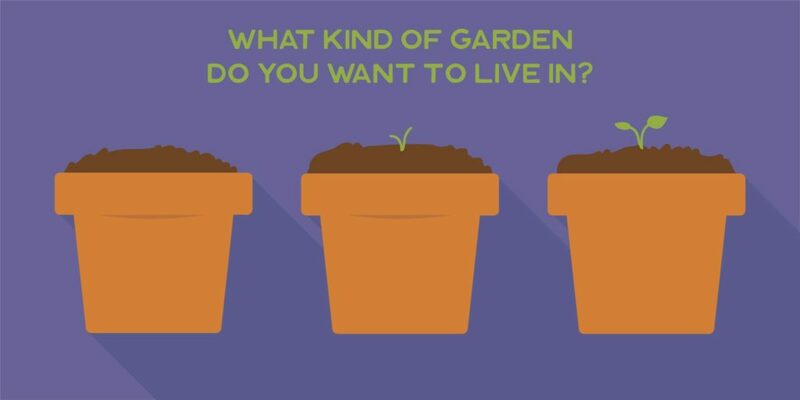 What kind of garden do we want to live in? How is our little slice of the equation helping to contribute to the whole? These are very important questions. Ghandi has a quote that has been very helpful to me on my personal eco-journey, as a human being and as an environmental advocate…“Happiness is when what you think, what you say, and what you do are in harmony.”. Unfortunately, our recent generations have been born into a world where consumer habits, the way we eat, how we travel and the way we live are largely inherited through our society and the media. We buy clothing because of brand names, we eat food because “we like it” and it’s what we have always eaten, we buy gifts for people when our culture says it is appropriate and although this is not all bad, it is generally not in alignment with the world we all want to create. 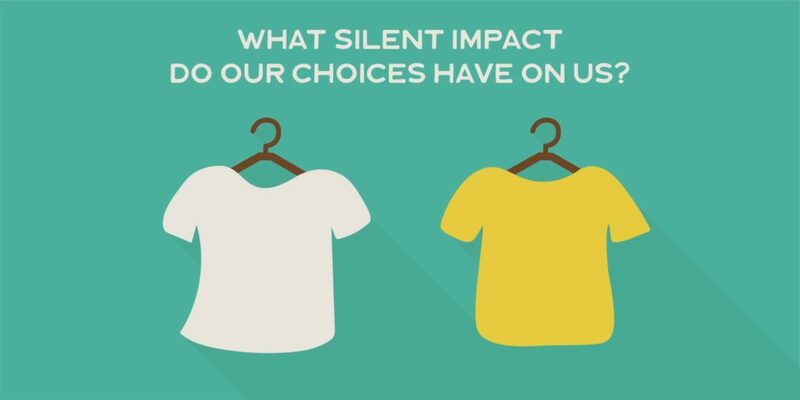 What sort of “silent” impact do those choices have on us, and our happiness? Not living in alignment with our true beliefs contributes to that “empty” feeling that is so prevalent in our world, which we then usually try to fill with more things outside of ourselves. I challenge you to write out your vision of what you want the Earth to look like. 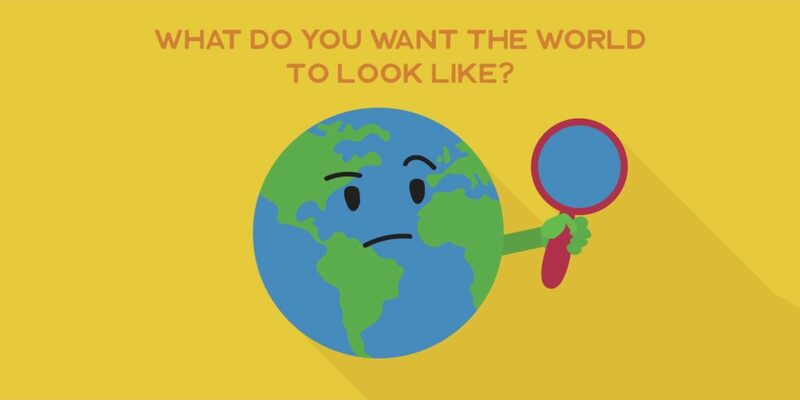 How you think the Earth should exist for future generations. Then take an inventory of your life in some basic categories: food, clothing, hygiene products, what is in your garbage can right now and how you travel/commute. Is your lifestyle in each of the above categories in alignment with the world you want to create? If the answer is yes, that’s great and you should skip the next paragraph. If not, start or continue to bring these areas into alignment. Eat more plant-based meals, choose more eco-friendly clothing options, de-toxify and reduce waste in your hygiene products, look for alternatives with less packaging based on what’s in your garbage, start taking transit and carpooling more. Take care of YOUR corner of the garden. Yes, the problems we are facing are significant and seem like they need more action than just switching out my laundry detergent and eating a veggie burger, but these are the first steps to changing our world. When we are in alignment with the world that we want to create, we are happier, more sustainable and more effective advocates and leaders. Taking care of ourselves is our primary job, and when we have done what we can to manage our own garden, then we can start lending out our tools and helping out our neighbours! 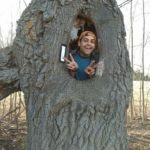 Kale Black is an Environmental Advocate, Public Speaker, Meditation Facilitator & Energy Worker based out of Burlington, Ontario.